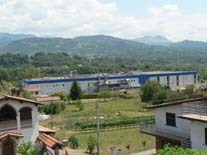 In conjunction with the meeting on Elba, we are able to offer you the possibility to join a tour to visit Kedrion Biopharmaceuticals at their main production site in Bolognana - Gallicano, not far from the picturesque medieval city of Lucca, north of Pisa. This is a unique opportunity to tour the state-of-the-art facility of Italy's major plasma fractionator. Departure from the railway station in Pisa on Monday May 7th at 08.15. After the tour the Kedrion site, the bus will head back to Pisa, to pick up other quests at the airport at 15.30. The bus will then continue to Piombino and the ferry across to Elba and arrive at the Hermitage Resort in the Bay of Biodola in the evening for check in and dinner. Cost €30 pp to cover the site visit to Kedrion. The bus transport Pisa to Elba and return is included in the registration fee. The tour will depart at 09.15 from Hermitage. 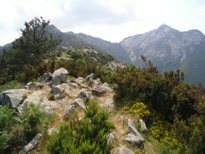 The scenic drive takes us through the hills and on to Elba’s highlands on the West side to the ancient settlement of Marciana, dating back to the Roman era. The 20 min cable car ride takes us up Mount Capanne, which is approx. 3,350 feet high. A fabulous view of Elba and of the Tuscan Archipelago can be enjoyed from the top. Do not forget your camera! During the decent see the resort town of Marciana Marina and the village of Proggio. We will arrive back at Hermitage around 13.00 in time for lunch. Cost €40 pp. Min no of people is 15. This tour will depart at 12.45 from Hermitage to Procchio and then across the island towards Marina di Campo. This charming little town was once a fishermen's harbour. Today, it is one of the most visited places with many hotels, shops, and the longest sandy beach on the island. The next highlight is the old town of Porto Azzurro, dominated by a Spaniard fortress (XVII century). Our tour continues north west towards the main city of Portoferraio and then back to the hotel. There will several opportunities to take some very captivating photos. We shall arrive at 16.45 in good time for the Focus lecture. The tour is included in the registration fee. This bus departs the hotel at 13.00 and in just a few minutes you reach the charming city of Portoferraio. Here a guided walking tour will introduce you to the attractions of the city. Afterwards you can have a choice of either visiting the Napoleon museum, shopping or just enjoy the atmosphere before returning to Hermitage at 15.45. Cost €30 pp. Min no of people is 10.